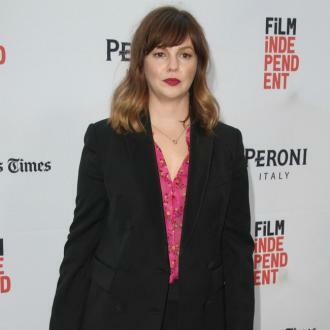 Amber Tamblyn has insisted it is not yet time for the ''redemption of men'' following the sexual harassment scandals surrounding the likes of Harvey Weinstein. The 34-year-old actress has expressed her frustrations at the idea that some of those who stand accused of sexual misconduct - including the disgraced producer, as well as Kevin Spacey, Louis C.K., and Matt Lauer - are seeking ''redemption'' without first having ''atoned'' for the alleged acts, as she believes the ''salvation of women'' is a more pressing issue at the moment. In an essay penned for the New York Times newspaper, the 'Two and a Half Men' actress said: ''Why do we need to talk about the redemption of men when we are right in the middle of the salvation of women? Not even the middle, but the very beginning? Why are we obligated to care about salvaging male careers when we have just begun to tell the stories that have plagued us for lifetimes? It seems some men like a revolution only when it's their kind of war. Amber's comments come after she previously revealed she had sat down with close friend Quentin Tarantino after news broke about Weinstein's alleged misconduct - in which he faces over 80 claims of sexual harassment dating back over the past 30 years - and voiced the director's feelings on the subject through a statement on her own Twitter account. Amber said in a tweet prior to posting the statement that she'd had a ''long dinner'' with the 'Pulp Fiction' director the night before, where they discussed the disgraced producer. 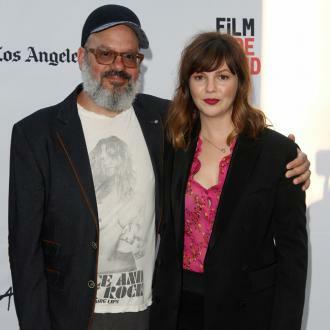 And 'Two and a Half Men's' Lesbian Daughter Is...Amber Tamblyn.